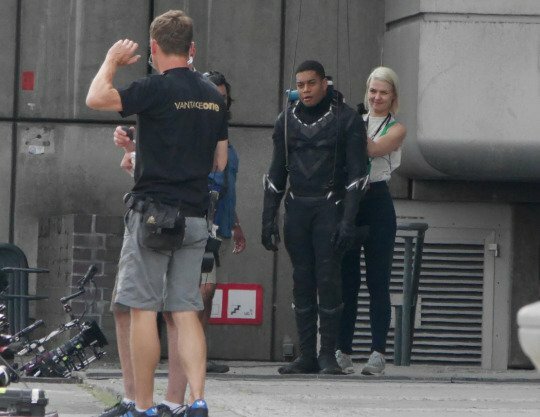 Well we knew that The Black Panther was all set to make his big screen debut in Captain America: Civil (May 2016) but now we have got our first glimpse of the hero straight from the set where production is currently going on in Berlin, Germany. 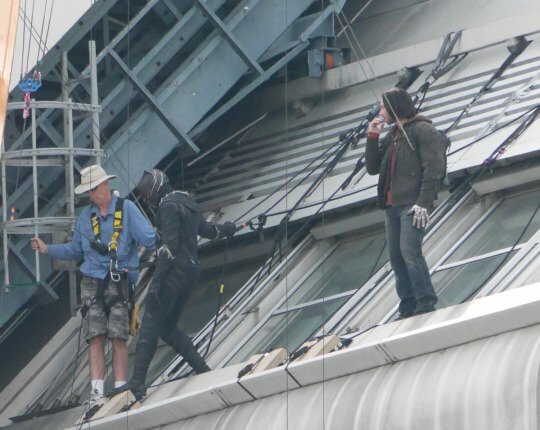 The person we see pictured without his mask doesn’t appear to be actor Chadwick Boseman who will portray The Black Panther/T’Challa, ruler of the African nation of Wakanda so it is likely a stuntman. But I think we can agree that the costume looks outstanding. Captain America: Civil War will feature the largest cast of superheroes yet assembled for a film. 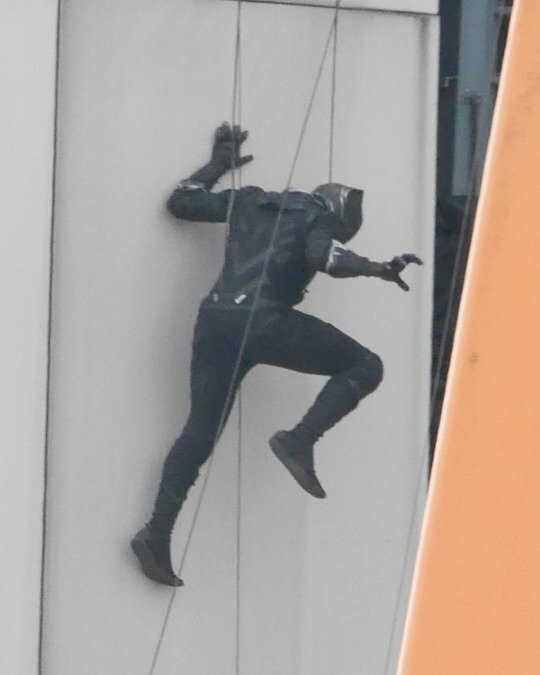 Besides the Black Panther the film will include: Captain America, Iron Man, Black Widow, Winter Soldier, Falcon, Spider-Man, The Vision, Ant-Man, War Machine, Scarlet Witch, Hawkeye, Sharon Carter, Baron Zemo, and Crossbones. And of course I am sure we can count on some other surprises! Tim Janson is a writer who has written for publications and websites such as Fangoria, City Slab, Newsarama, Collider, Mania Entertainment, The SciFi Movie Page, Hellnotes, and Cinefantastique. He is an avid biker, collector of hand-to-hand combat weapons, and martial artist. Ok, so heavy hitters like Thor and Hulk aren’t there, but this really is Avengers 2.5!!! Braindead Review : Wake Up Grassroots….